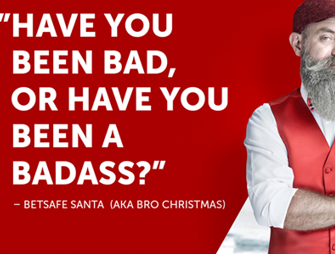 Betsafe – Last Day Christmas 2016 Calendar! Enjoy the last festive rewards! Don’t miss the final festive rewards! The Betsafe 2016 Calendar has been running since 15th November 2016 for a whopping 50 days, only second to Mr. Green’s 53 days. 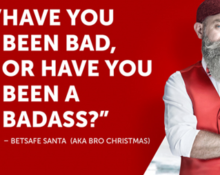 Centered on their very own Bro’ Christmas character it was packed to the brim with offers and rewards across their platforms, very often vertically integrated such as wager on Sports and get a Free Bet on Virtuals. Players were spoiled for choice within minimum two available offers for every day. But all good things have to come to an end eventually and today marks the final door on their Christmas 2016 Calendar. Clicking on 3rd January 2017 will open three awesome promotions that cover their Casino, Sports and Poker sections. Take part in a 1-day tournament on Holmes and the Stolen Stones from Yggdrasil, running from 00:01 – 23:59 CET on 3rd January 2017. Position on the leader board is based on the highest coin win during a Free Spins round. The leader board is displayed in the game window and players can improve their position throughout the tournament. There is no minimum bet level but only cash play qualifies. Prizes range from £25 – £1,000 and are paid out as bonus chips by 18:00 CET on 4th January 2017 and carry a 2x wagering requirement within 7 days. To qualify place a minimum of 10 bets from your mobile with minimum odds 1.5 between 00:01 – 23:59 CET on 3rd January 2017. The bets must be placed and settled on campaign day to count towards the calculation of the boost. 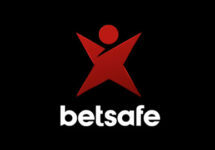 50% of the net profit from all bets will be credited the following day by 18:00 CET as cash, no wagering requirements. Enter this free tournament on 3rd January 2017 with cash prizes worth £1,000. Use password: bsfxm4s3 to gain access to the Free Roll. Launched in 2006, the casino is operated by BML Group Ltd. under MGA and UK licenses. The player has the choice of mobile or desktop platforms with Casino, Sportsbook, Live Betting, Live Casino, Virtual Sports and Poker. The Casino section has a large array of games from Netent, Migcrogaming, Ongame, Play’n Go and Evolution Gaming for the Live Casino. A seemingly endless list of currencies and payment methods ensures fast and secure deposits and withdrawals. The website is available in 7 languages and Customer Support is provided 24/7 via Email, Phone and Live Chat.